If you’re looking into dentures in Moorpark, CA, you’re in the right spot! Dentures are natural-looking artificial teeth that are used to replace natural teeth that have been removed or lost. They can be a full set or a partial set, depending on the level of tooth loss. Dentures look just like your real teeth, and can get you back to chewing and speaking normally again all while improving your appearance! Full dentures are used when all of the teeth have been removed, and they can either be affixed to dental implants to prevent rubbing and slipping or regular conventional dentures. Partial dentures allow you to wear a denture aligner that replaces individual groups of teeth. Partial dentures are used when you don’t need to replace an entire set of teeth. Since there are multiple teeth missing, bridges aren’t the best option for this as they don’t offer as much support. If the thought of permanently replacing your teeth with dental implants isn’t appealing, dentures can be a great option to replace missing teeth. If you’ve lost all or some of your natural teeth from tooth decay, injury or gum disease, dentures might be the perfect solution that benefits your health and appearance. At Moorpark Center for Dentistry, we offer full, partial, and conventional dentures – all can be made to fit your specific needs. Dentures must be removed to soak at night and must be brushed and washed. It is possible for bacteria to grow on your dentures, so it’s important to keep them clean! 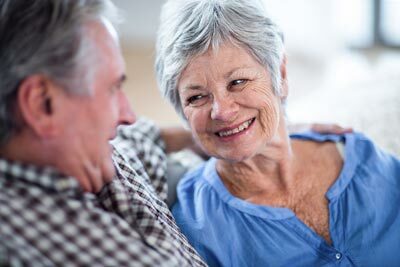 Call Our Friendly Office to Learn More About Dentures in Moorpark, CA! To learn more about dentures and 5-star-rated dental care from Moorpark Center for Dentistry, contact our friendly office today! Simply call 805.243.3999 or click here to schedule your complimentary Moorpark Center for Dentistry New Patient Exam. Your new patient appointment includes a review of your dental and medical history forms, digital x-rays, and an in-depth consultation – for FREE! Plus, you can add an oral cancer screening and teeth cleaning for just $97! Call today – we can’t wait to help restore your beautiful smile!